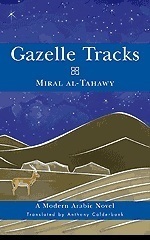 This short but cleverly crafted novel recounts the tale of Muhra, a young woman born of the descendants of the Bedouin tribes who settled in Egypt’s Nile Delta in the nineteenth century. Past mingles with present and myth and folklore blend with reality, as Muhra seeks to discover the truth about her mother through the old family photographs that adorn the walls of her grandfather’s house and other documents hidden away in cupboards and drawers. Muhra’s tale of self-discovery is set against the dwindling fortunes of her own people as they struggle to preserve their identity and culture amid the larger Egyptian community that encroaches upon them. Unwilling to give up despite premonitions of doom, Muhra moves inexorably toward the bitter truth about her mother’s poignant life.